Our natural gas chart processing services represent the last step in a complete gas measurement solution. 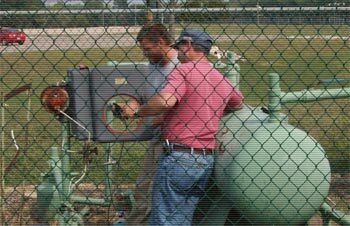 Quality gas measurement begins in the field and R L Laughlin can provide you with a complete natural gas measurement package. By caring for all your flow system needs we are able to ensure your charts or flow data processed further down the line are of the best quality possible. 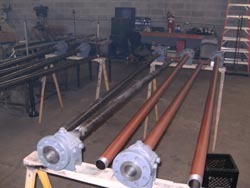 The following list represents a sampling of the field services we can offer your company. We would be more than happy to get together with your field team to discuss what we have to offer your company, and how we can help you be more productive and profitable. We also understand that sometimes a sharing of knowledge between field technicians and the chart processor is necessary for an efficient and accurate measurement plan. We'll gladly come to your place of business and give a brief presentation on how a chart is processed in our facility. We have found that these lead to a better understanding of how your field technicians can help us give you the accuracy and quick turn-around that you expect. Our skilled field service technicians test and service scores of meters each month, for many clients. With years of experience and a focus on technology, we offer you the best gas meter testing service available in the industry. With scheduled, timely testing, you can be sure your gas measurement is as accurate as possible. What's more, we now offer an additional service that allows our clients to view printable images of our meter testing reports, and gas analysis statements. 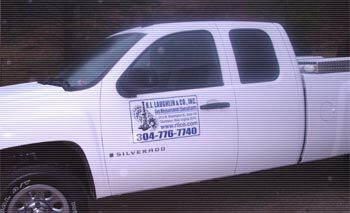 At R L Laughlin, we have trained technicians ready to install, configure, and service any make and model of EFM device. Additionally, we've done extensive work in tying our web portal to the EFM volumes that we poll and collect for our clients. Contact us to discuss how we can provide your company with a complete gas measurement package, from the field, to gas chart processing, to gas volume reporting and web data access.